If you posted an audiobook review today, Tuesday June 7th, please leave your link in the Mr. Linky before midnight Central time (US) and you will be eligible to win a prize. Cassia has been looking forward to her Match banquet for a long, long time. The Sorters of Society have this sort of thing down by now, and Cassia is dying to see who her perfect Match is. Amazingly, when Cassia’s Match flashes on the screen at the banquet, it is her best friend, Xander. Almost nobody is Matched with anyone they know, let alone a best friend. Everything gets all the more improbable when she reviews her files later at home and sees the face of another acquaintance, Ky. She is told by the Society that it is all a mistake, that Ky should not have even been in the Matching pool. Initially, Cassia accepts this, but her feelings begin to grow complicated, and she begins questioning even the most basic aspect of the Society. SUCH a good dystopian (or negative utopian) novel! Early on, the descriptions of the Society in which Cassia lives reminded me a lot of one of my favorite books, The Giver by Lois Lowry. I was worried that it would be derivative. Certainly there are a number of similarities in the basic setup of the society, both seem idyllic from the outside, or to more naive members of society, but there are very real problems that became obvious as one looks closer. There are moments when Cassia’s confused feelings grow slightly obnoxious (“Xander! Ky! Xander! Ky!”), but it was not overwhelming, and it fit very well with her character. 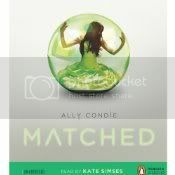 Actually, I quite appreciated that Matched avoided the ubiquitous YA love triangle even as it puts Cassia between who boys who both might be perfect for her. Yes, she was unsure who to choose, but to Cassia her choice between Xander and Ky is greater than just between the two boys, the choice instead represented remaining a loyal and productive member of Society, or questioning the decisions made by those in power around her. The plotting and characterizations were incredibly well done, and I was left craving the next installment in the series. I’m certain I could track down an advance copy of Crossed, the next book in this series, if I really so desired. At this point I am purposely not doing so, in order to wait and see if Kate Simses narrates the second book as well. If she does, there is no question in my mind as to whether I will attempt this in print or audio. The pacing of young adult literature works really well in audio, but frequently narrator choice is an issue for me. So many narrators of YA either sound too old, or sound like they are trying too hard to sound young. It can be really awkward. Kate Simses, on the other hand, has both the bearing of a professional narrator and a youthful enough voice that I absolutely believed her as the teenaged Cassia. I would say that she is the absolute best narrator of a young adult book I have yet heard. One interesting thing about Matched in audio is that Penguin audio used sound effects at certain times. I know for many listeners this can be a huge turnoff, but I thought it was done very well in this case. Occasionally it was used as an announcement over a loudspeaker, or similar things that set the scene of the Society. For more discussion about the issue of sound effects in audiobooks, see today’s Audiobook Week discussion post. Matched is a fabulous specimen of YA dystopia/negative utopia, and Kate Simses narration turns the great book into a fabulous audiobook, I don’t think you could go wrong with print or audio. If you posted an audiobook review today, Monday June 6th, please leave your link in the Mr. Linky before midnight Central time (US) and you will be eligible to win a prize. Tina Fey is a smart, funny woman, a working mother. Before she was famous for her work on SNL – particularly playing Sarah Palin – she was a member of Second City and, before that, a young girl who had a lot of gay friends in summer theater. In Bossypants, Fey touches on motherhood, feminism, working at SNL and 30 Rock, and her life growing up. If you are expecting a deep treatise on feminism or working motherhood, you might be disappointed by Bossypants. Except I highly doubt you can stay disappointed for very long. Fey might not spend an inordinate amount of time or depth on any one topic, but every section of the book is rife with her trademark wit, and she hits every note beautifully, nary a joke falls flat. Tina Fey is hilarious narrating her own life. For someone with the comic timing and delivery that she has, narrating your own memoir is an absolute must. Honestly, I simply can’t imagine any other narrator doing justice to Fey’s unique voice. The audio did mean missing the immediacy of seeing the pictures of Fey growing up, but Hachette included a pdf of all of the pictures along with the audiobook and Tina Fey references them so the listener knows when to when to check them out, or at least remembers the context when it is convenient to open the document. And huge plus for the audiobook? The fact that they were able to get the license to include the audio of the SNL skit where Tina Fey first played Sarah Palin. That alone makes it worth listening to. Fey’s writing is sharp and smart enough that I imagine Bossypants must work quite well in print, but for the added emotion and humor of Tina narrating her own work, I must strongly recommend experiencing Bossypants in audio. So I adored this book, but I borrowed it from the library in January and never wrote my review, and since then I read another book, Picking Bones from Ash by Marie Mockett, that also involves multiple generations of Japanese/Japanese-American women, including a daughter returning to Japan. Long story short, I no longer have enough to say about this book to give it an actual review. However, I do want to share it with you, because I felt that if I do not, I will be doing you a disservice. So let me just say I really enjoyed Dilloway’s writing and storytelling, and I thought she handled the voices of the different women very well. 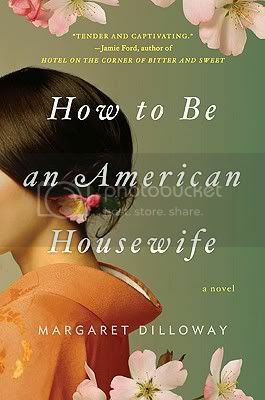 How to Be an American Housewife is a novel about mothers and daughters, and the pull of tradition. It tells the story of Shoko, a Japanese woman who married an American GI, and her grown daughter, Sue, a divorced mother whose life as an American housewife hasn’t been what she’d expected. When illness prevents Shoko from traveling to Japan, she asks Sue to go in her place. 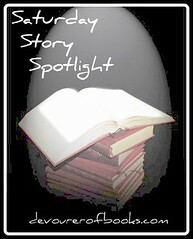 The trip reveals family secrets that change their lives in dramatic and unforeseen ways. Offering an entertaining glimpse into American and Japanese family lives and their potent aspirations, this is a warm and engaging novel full of unexpected insight. Perhaps you remember, but I recently adored Head You Lose, Lisa Lutz’s new book, with cowriter David Hayward. Based on my love for Heads You Lose and the recommendations of many readers I trust, I decided that the next new series I start would have to be Lisa Lutz’s The Spellman Files. I took the first book out from the library and it sat around my house for a few days. Then last week, when I felt myself on the verge of a reading slump, I had a feeling that The Spellman Files might just be the cure for what ailed me. It is quite difficult to describe the plot of The Spellman Files without making it sound convoluted and ridiculous, which it really isn’t. Anyway, there’s Izzy Spellman, second of three children in the Spellman clan, although she’s more or less an adult now. Izzy’s parents are private investigators, and she’s been involved since she was old enough to trail a perp – although she was very distracted by pot and petty vandalism as a teenager. Now she lives with her parents, 12 year old sister Rae, and their Uncle Ray who has turned to a life of alcohol and debauchery, after clean living gave him cancer. Rae and Ray are at war, and Izzy is trying to hide from her parents her relationship Exboyfriend #8, the dentist who thinks she is a teacher. There are footnotes scattered liberally throughout the book as asides from Izzy, and some of the subplots have their own set of chapter numbers, so you can read two chapter 2s in a row. It is also clear that most of what is being told is leading up to a time when Rae is missing, and Izzy is trying to tell her story to a detective in the present to give him background on Rae. Luckily these scenes with the detective are in a different font from the rest of the book, so they are easily distinguishable. See? I didn’t do a very good job convincing you that this book isn’t overly complicated. The thing is, though, Lisa Lutz makes it work. I never had to stop and think about which story thread I was following, even when I did read two chapter 2s in a row. Everything is weaved together so effortlessly, that I just relaxed and went along for the ride. Anyway, I totally loved The Spellman Files, Lutz has a real talent for very funny mysteries. I can’t wait to read the rest of the series, I will definitely be keeping them on hand for when I need a change of pace. First farm animals, now primary colored outerwear. I’m starting to really dig the Rookie Toddler series from Scholastic. 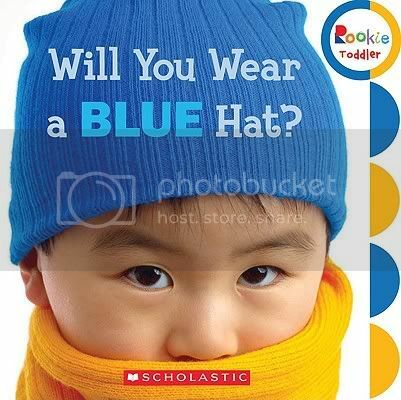 In Will You Wear a BLUE Hat, a little boy is being questioned by an unseen other about which of his primary colored pieces of clothing he will wear in order to go outside and stay warm. We read this book three times just today, because it is just awesome. Daniel is making really good progress on his letters (he can identify almost all of them, and say nearly the entire alphabet) and can count to 10 pretty well, and knows lots of animal names and noises, even some shapes, so I figured the next thing we need to work on is colors. I adore Will You Wear a BLUE Hat for that. For starters, all of the color names are printed in their eponymous color. The question (for example, “Will you wear a blue hat?”) is repeated in a sing song fashion with a great cadence, with the options shown, and then on the next page the child is seen wearing the item. It was a great conversation starter about color, we talked about all the different colored items on the page, and by the third time we had read the book, Daniel seemed quite confident about naming the color of each item. I taught elementary school, so I am comfortable pulling out textual and pictoral elements to enrich a reading time, but for parents who are not comfortable with this, this series of books has “Rookie Storytime Tips” in the back of each one, giving clues for taking the learning experience besides just the text in the book. I’ll be looking for more from this series, and I’m sure we haven’t read this one for the last time.